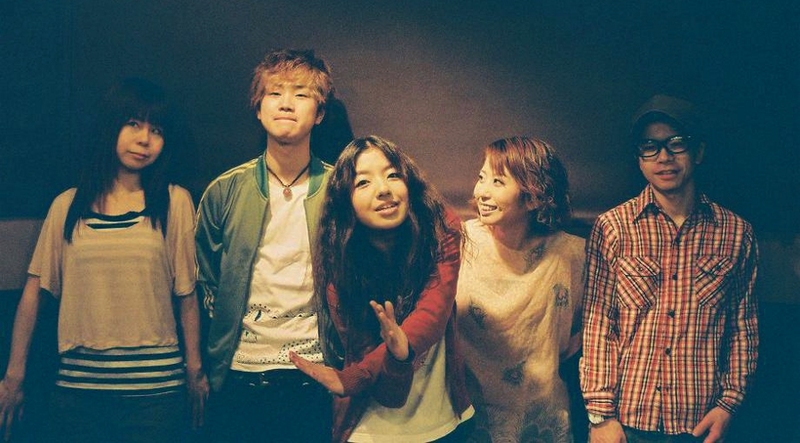 チーナ (pronounced “chee-na”) is an orchestral indie-pop band based out of Saitama, Japan near Tokyo. Having grown bored of performing solo, singer-songwriter and pianist Kyoko Shiina formed her own band fusing classical music with elements of jazz, pop and post-rock. 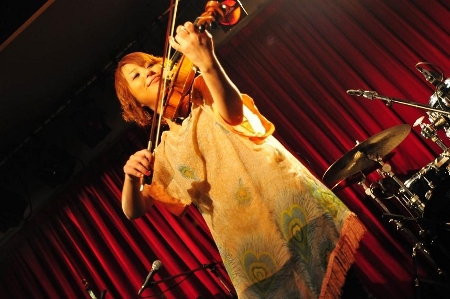 In 2007, the band’s core was formed when Shiina was joined by violinist Yukako Shiba and Eri Hayashi on contrabass. After a rotating cast of support musicians, guitarist Shouta Nishiyori and drummer Kazuya Matsumoto became official members in 2009. Building a strong reputation through breathtaking live performances the band was quickly signed by Victor Music/Sophori Field in the same year. チーナ’s first mini-album “Shupoon! !” showcases Shiina’s sublime singing voice and eccentric sense of humor. While the new 2 song ep has チーナ flaunting their musical dexterity with more aggressive and intricate compositions. Matsumoto would quit the band in January 2011; however, チーナcontinue on stronger than ever with support drummer Naoto Kikuchi. They performed a “one-man” (single band) concert in front of a sold-out crowd on April 9, 2011. チーナ's unique style, formidable skill and ebullient personality made them crowd favorites in Canada during NMFT vol 3. And vice versa チーナ thoroughly enjoyed their experience in Canada... to the point they named their 2nd album "Granville" which includes the title track: "Granville Island Market." チーナ are ecstatic to have a 2nd opportunity to perform for Canadians in May.